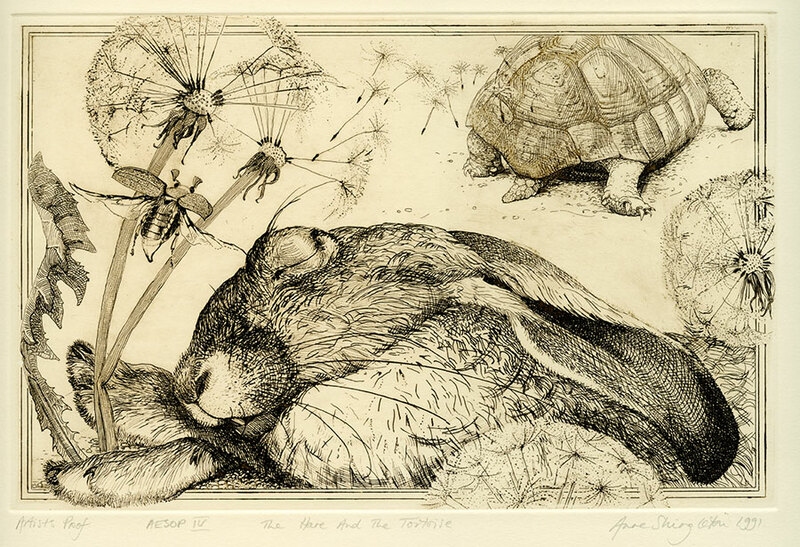 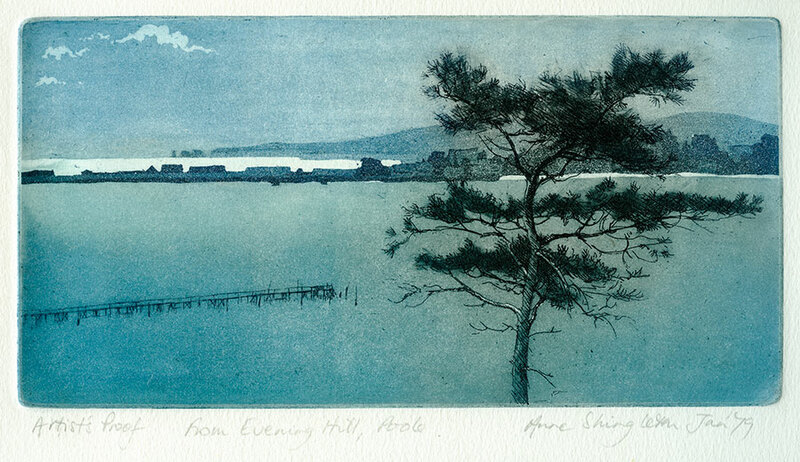 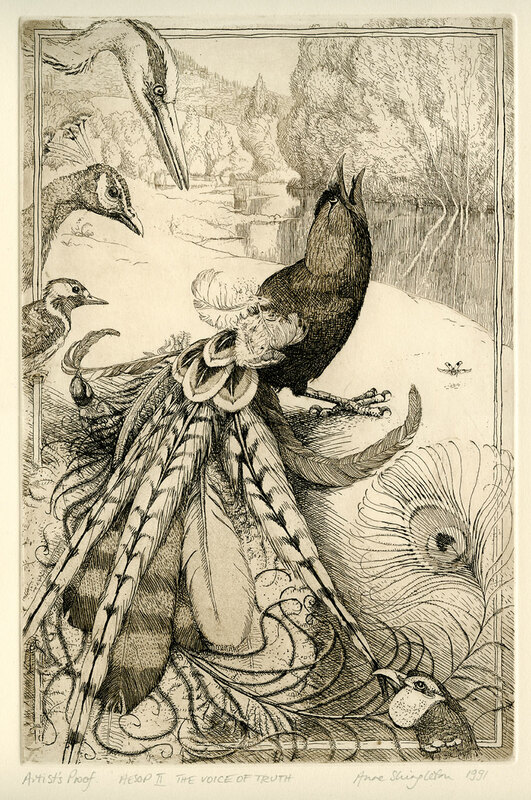 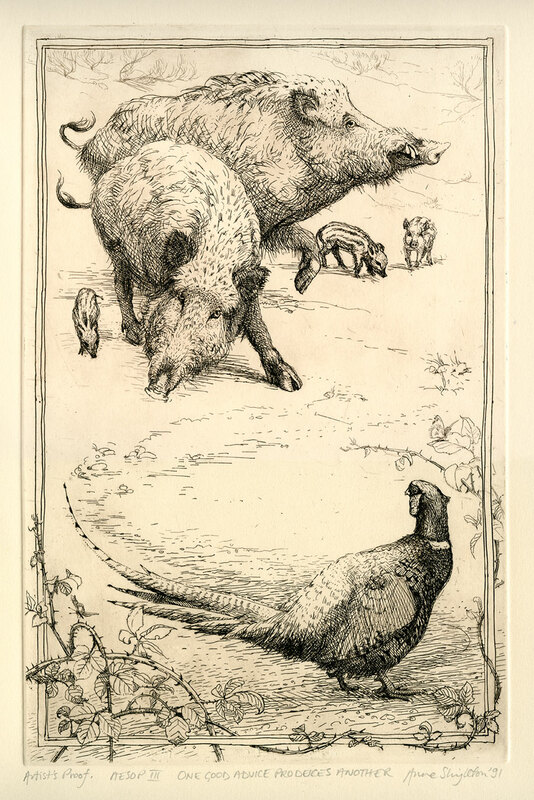 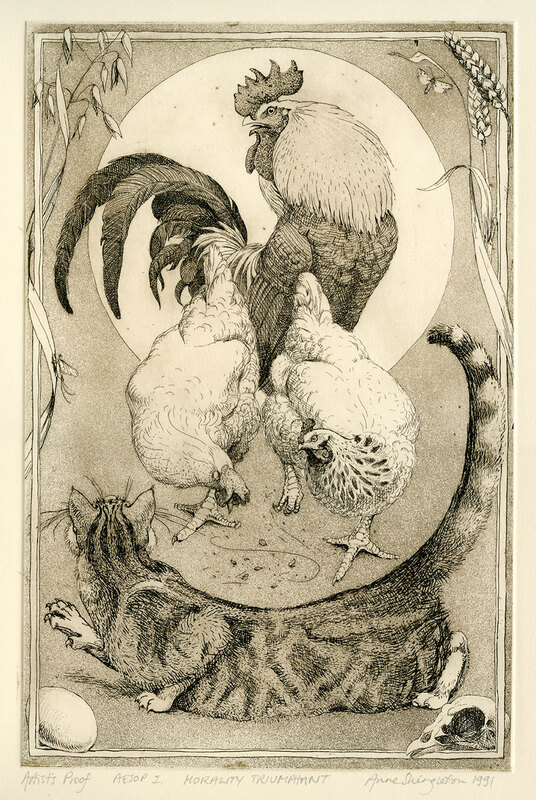 Etchings are prints on paper taken from a metal plate (copper or zinc usually) that has been "bitten" by strong acid to create the lower areas and lines that retain the ink. 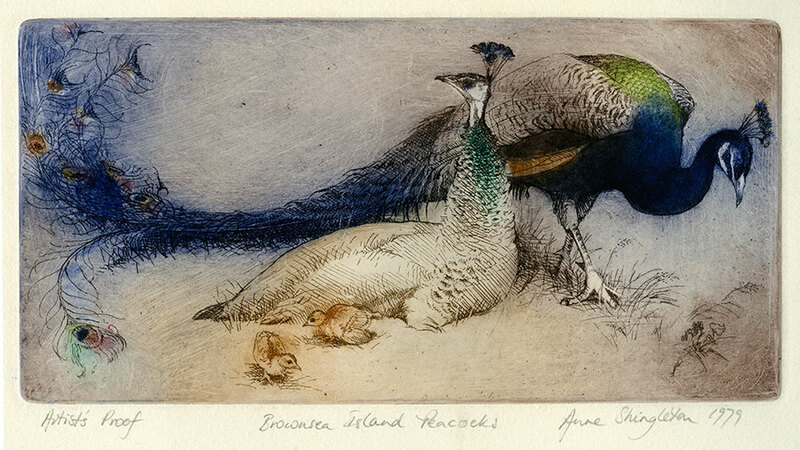 They give a more painterly image compared to engraving where the line is cut out using a sharpened and pointed tool, a burin. 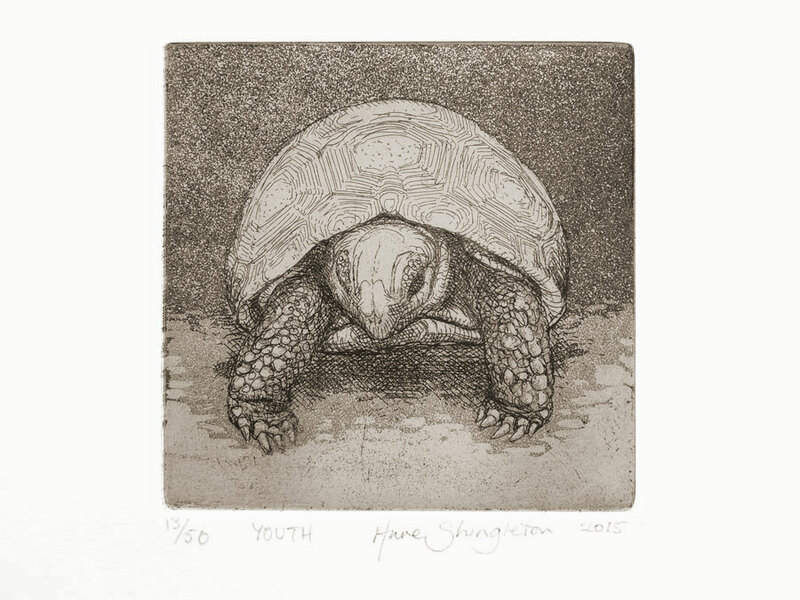 The prints are numbered in an edition. 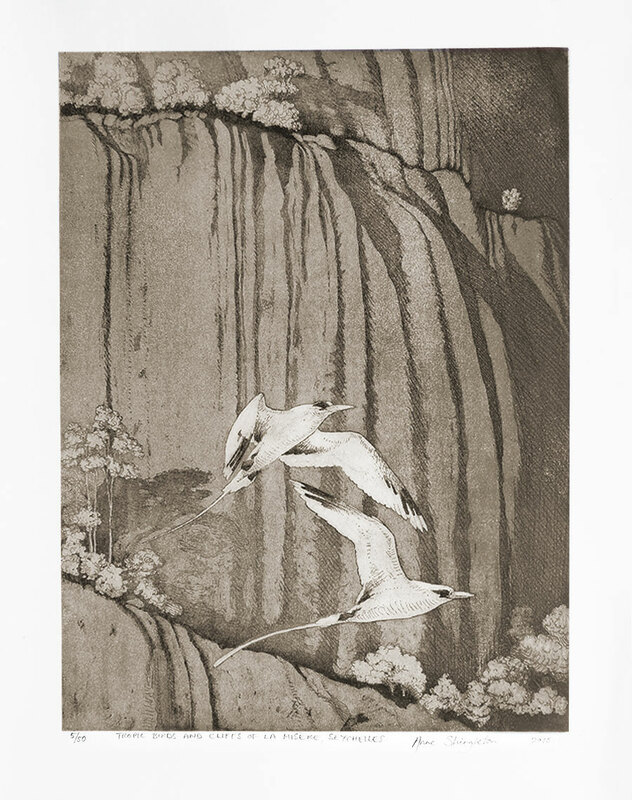 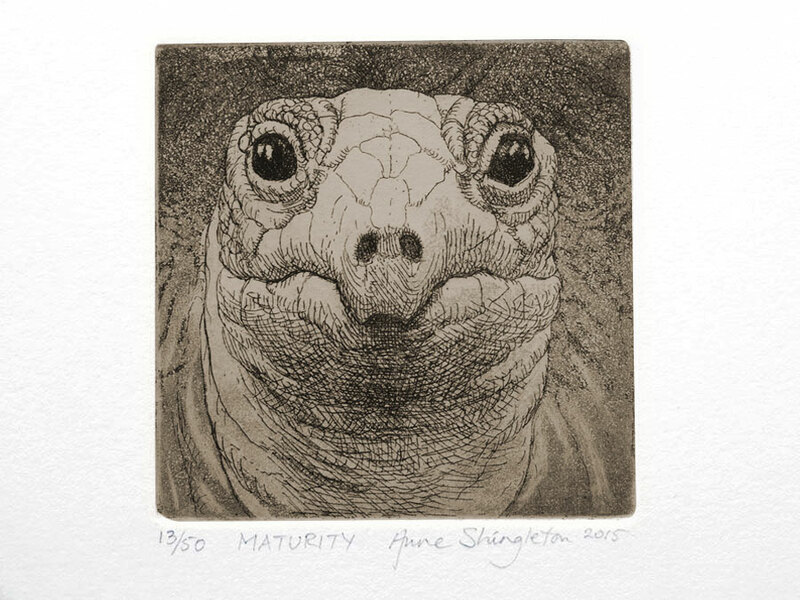 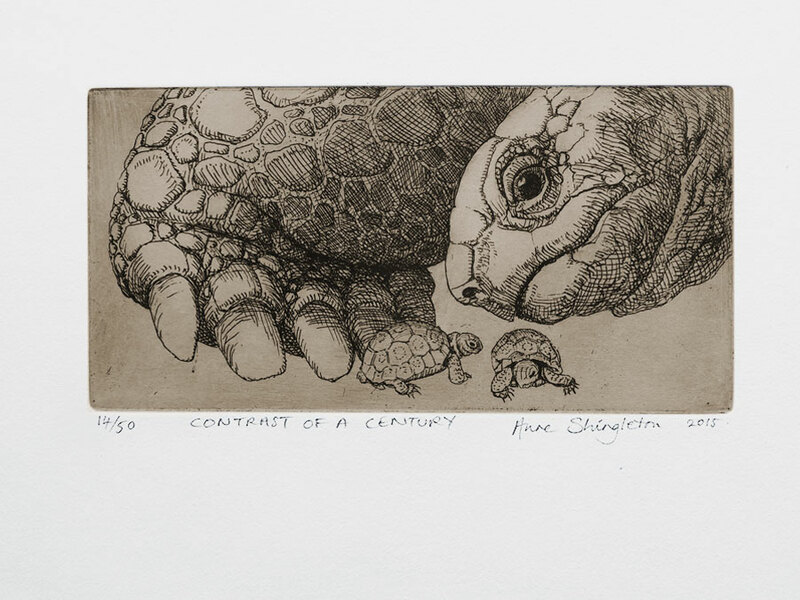 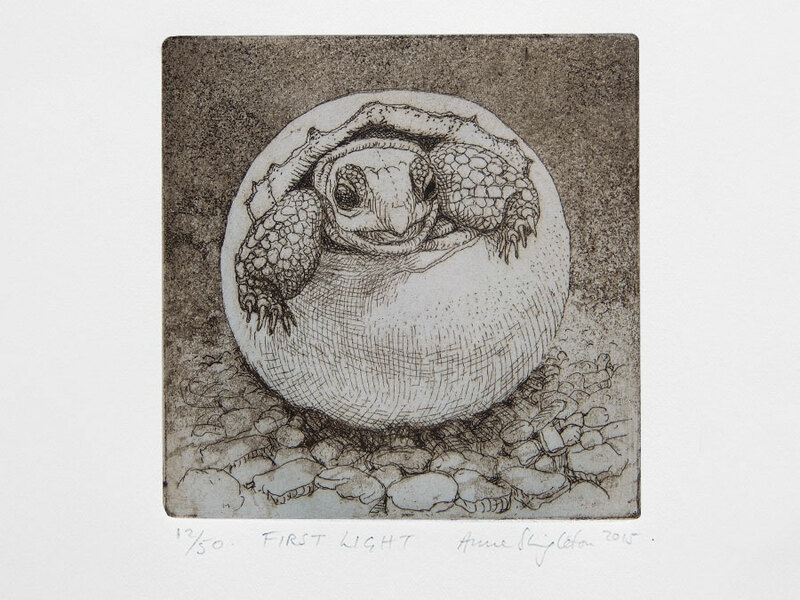 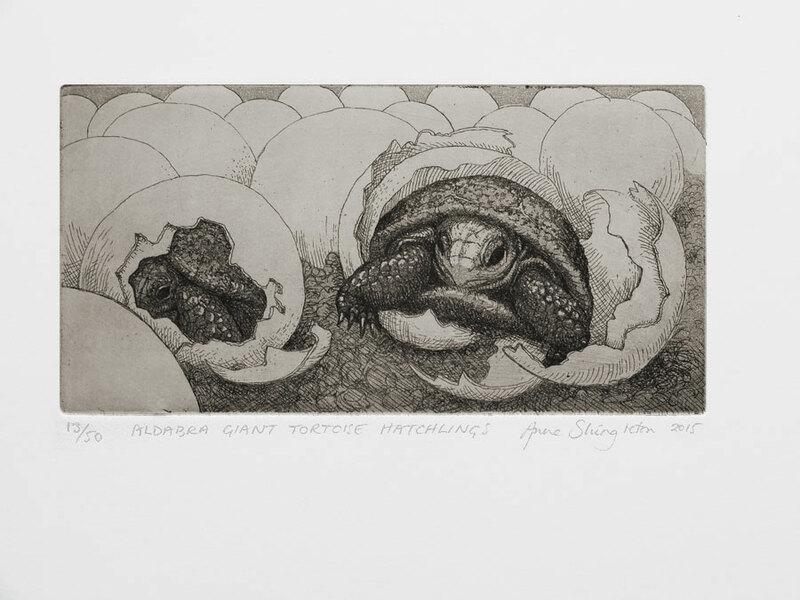 Only the most recent etchings created in the Seychelle Islands of the Giant Tortoises and Tropic Birds are available for sale, the others are sold out.